ATS is a storage based locking mechanism to replace SCSI reservations on VMFS volumes when doing metadata updates. A SCSI reservation locks a datastore and prevents all other hosts from doing metadata updates on that datastore. Verify ATS operations with esxtop. Press u f f g i o in esxtop. This will enable Device mode and all required fields. ATSF - Total number of failed ATS commands. Without VAAI clone and Storage vMotion operations are performed by the VMkernel. The XCOPY primitive allows to offload these requests to the storage array. This does not waste ESXi Host resources such as CPU cycles, DMA buffers and SCSI commands in the HBA queue. Verify XCOPY operations with esxtop. Press u f f g i o in esxtop. This will enable Device mode and all required fields. A Virtual Machine was migrated with Storage DRS while the screenshot was taken. When an eager-zeroed virtual disk is created, the entire space gets zeroed. 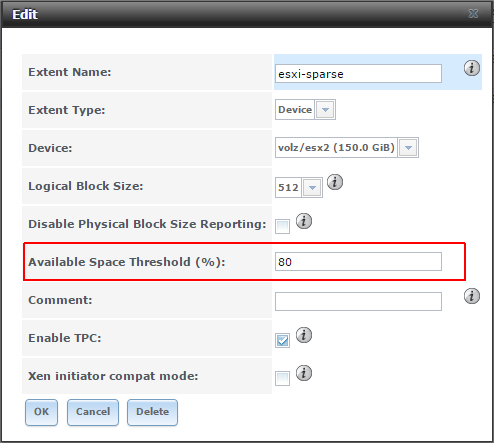 The ESXi host has to write gigabytes of zeroes to the storage array which takes some time. By using the Write Same primitive, the ESXi host simply tells the storage array how much zeroes it should write. This would significantly shorten the time needed. Verify Write Same operations with esxtop. Press u f f g i o in esxtop. This will enable Device mode and all required fields. An eager-zeroed virtual disk was created while the screenshot was taken. When a Virtual Machine on a thin-provisioned LUN is deleted, the storage array does not know that the blocks are unused, so it reports the space still as occupied. The UNMAP command enables an ESXi host to inform the storage array that space from a thin provisioned LUN can be reclaimed. This enables an array to reclaim space of a thin-provisioned datastore. Try to unmap 152372 blocks in units of 200 blocks from volume /vmfs/volumes/esxi-sparse/. Verify Dead Space Reclamation with esxtop. Press u f f g i o in esxtop. Without this VAAI primitive, all virtual machines would crashes if a datastore is full. With VAAI Stun, only those virtual machines requiring extra blocks of storage space are paused. After additional space is allocated to the thin-provisioned datastore, the paused virtual machines can be resumed. ← vMotion Fails - "The source detected that the destination failed to resume"
This phrase is not true: "Dead Space Reclamation does only work if your iSCSI extent is a ZVOL created as sparse volume". UNMAP works independently of this checkbox status. But setting that checkbox is much less useful without UNMAP support, since sooner or later LUN will occupy space equal to its size, and then this checkbox loose any meaning. 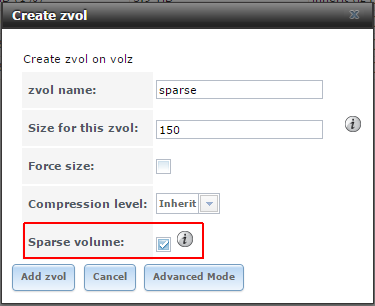 This checkbox set allows storage over-provisioning, when administrator may create LUN bigger then whole pool capacity. And thanks to UNMAP and space thresholds that can be really useful. Thanks for clarification. I can run UMAP but what does actually happen on a ZVOL without the sparse volume checkbox? Do I gain of an advantage? It doesn't shrink and I do not get space back in the pool. It's true that it works, but what for? UNMAP'ed space is returned back to ZFS pool. You may see it as FREE in `zpool list` output. While ZFS won't let you use that space for other things due to reservation set on ZVOL, more free space on the pool helps to reduce fragmentation. Also, if you create a snapshot of ZVOL, it won't reference UNMAP'ed data, consuming less space when ZVOL will later get overwritten. It is called "Resource Provisioning". It is like UNMAP for SSDs -- does not give you any space back, but makes device live longer and happier.